Yet another month, and yet another progress report. So what happened this month? Well, We finally found out what happened during the dark year (be aware of spoilers at the very end of this post). Darwin said hi again, and no I still don't have access to twitter... I also realized we haven't heard from SkyKiwi one of our earliest contributors, in a while. Much to my surprise he spends his time as a "Cha-Cha" dancing VR streamer, go say hi when he is live (and tell him we miss him). Sky went away for 10 days, giving us 10 days of much enjoyed silence jk, I hope you had a great trip. On more dev related news, we've had a new contributor join us on discord, thanks you for helping out Jenó. I'll showcase some of his work below. But lets get started with what you came here for, pictures of unfinished features and half finished artwork. In the endless fight for finding more devs for this project, so that I'm not alone I have developed and deployed yet another tool. Its based on the strategy pattern, and will hopefully make it easier to "quickly" prototype new features and balance existing ones. Down below you can see the tools being used for our character controller, changing between an normal moving state, to a aiming state. Hopefully going forward it will be used for much more. The map... The overly extensive, way to big piece of land. I was working on some textures one day, when I found out our original terrain designer had the world setup as 12.000x12.000 meters (Looking at you ThatRumme). Not only is 12.000 not a power of 2, but he had left the Heightmap detail at a 1025 and the splatmap detail at 1024. Giving me 0 amount of detail when working on it (To be fair Unity has the worst terrain system in the world, when it comes to small details). Doing my frustration I irreversibly removed all textures, great right... Well its not good at this point so might aswell try to scale our heighmaps and splatmaps to their max values of 4096. This removes all, and I mean all Terrain data... But none the less I did manage to copy all the raw heightmap data to the new terrain that is 16384x16384 (which is a power of 2). With higher heightmap and splatmap details. Its still way to small, so we have to find a way to cut our large terrain into smaller pieces and some point in the future. The greybox (early layout) of Arkadia has begun, even though lots of other places are far from done, I wanted to work on Arkadia so I did. Most important is of course the ring, it has to stand tall above the tree lines, and while it doesn't look that big in the image, believe me its huuuge (In trumps voice). 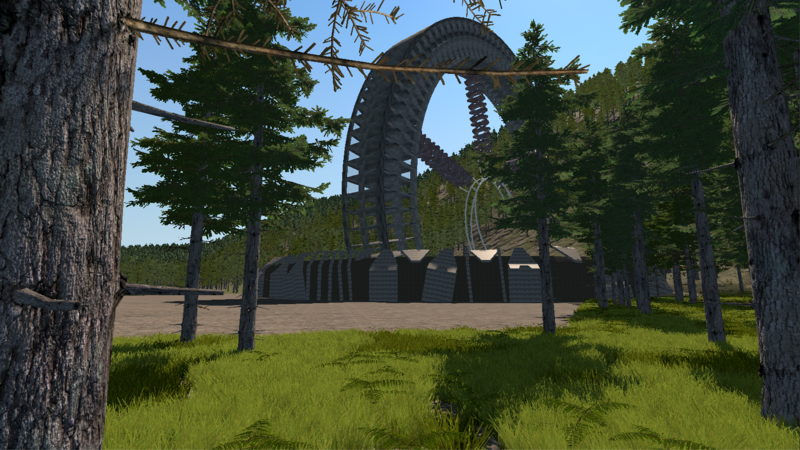 The lower part of Arkadia is standing 10 meters tall, then you can multiply upwards on your own. For now we are just going to work on getting the exterior looking good, before work on the interior layout can start. There is also a lot of work around Arkadia that has to be done. Everything from watchtowers, to the half metal-sheets half electric fence surrounding it. Of course the ring will get some more detail as well, but as it goes in gamedev, we have to watch our polygon count, so it won't look as crazy as in the show (but hopefully close). So the new guy I was talking about, Jenó. Jenó joined early in the month and wanted to chip in, thank you very much Jenó. We are going to need a lot of weapons like swords, knifes, axes and military weapons for the game. 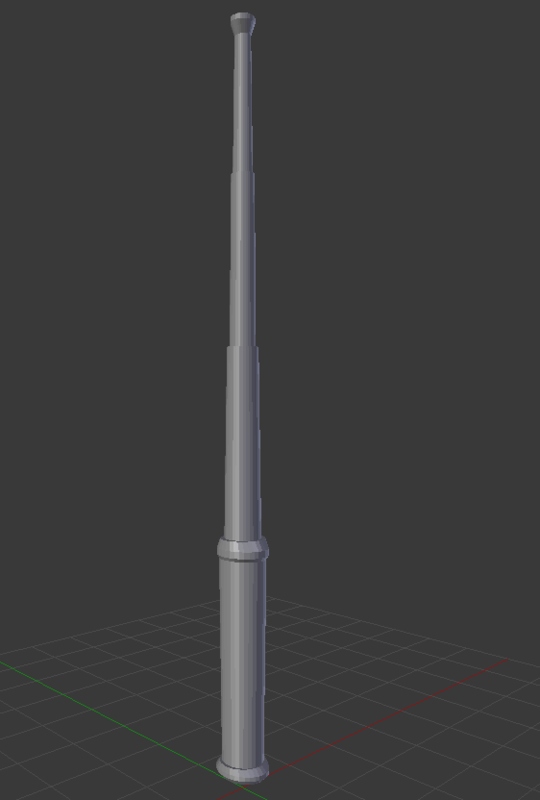 Improvised craft-able weapons as well. 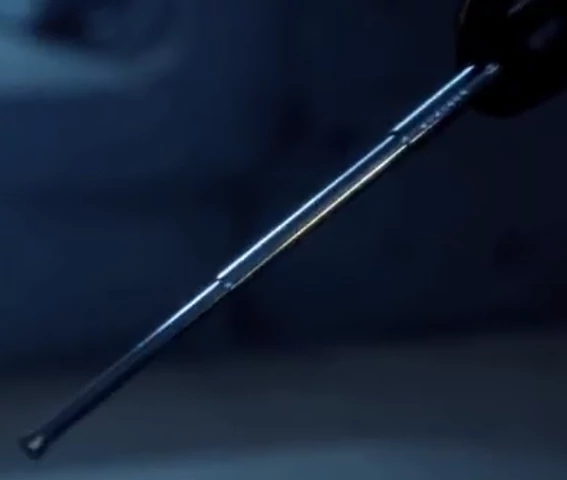 On the first image we have a improvised knife, famously known for the only piece of evidence needed to frame John Murphey for murder back in year 2149. 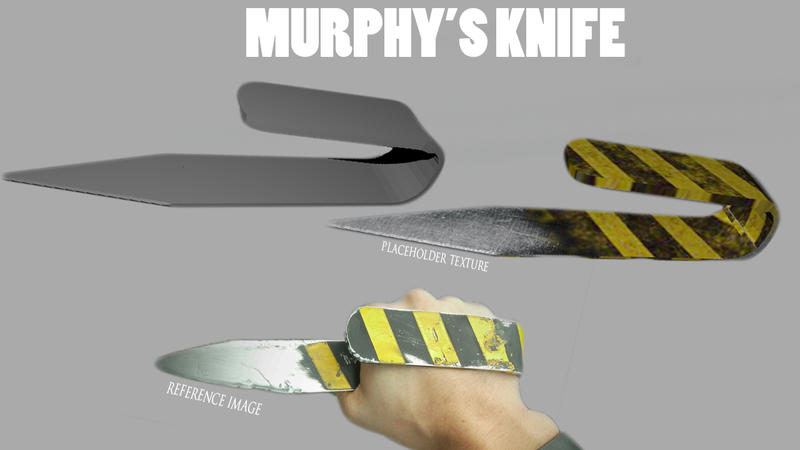 Its made by bending a piece of scrap-metal to make a handle, and then sharpening the end by scraping it on a hard surface. In-game it will probably be more like a right-click and craft kinda process. The second image is an extendable stun-baton, while its really effective in stunning people in no armor it also has to be charged every once in a while. Once again thanks Jenó, we hope you stay with us for the ride. So how many of you thought that the Dark year was cannibalism? Does anyone beside me really crave Guava paste after that episode? If cannibalism was in-game would you kill another player to save yourself from starvation? Find out in 2149, when the game is finally in alpha and fantasy hopefully won't be reality. As always thanks to everyone following our progress and helping out here on the forums, on Discord, on Reddit (Wait we got a reddit?) and Twitter (Why do I still say twitter? No password no tweets... Darwin please come back to us). We wouldn’t be making this project if it wasn’t for you guys (Or maybe we would, but it would be a lot less fun).